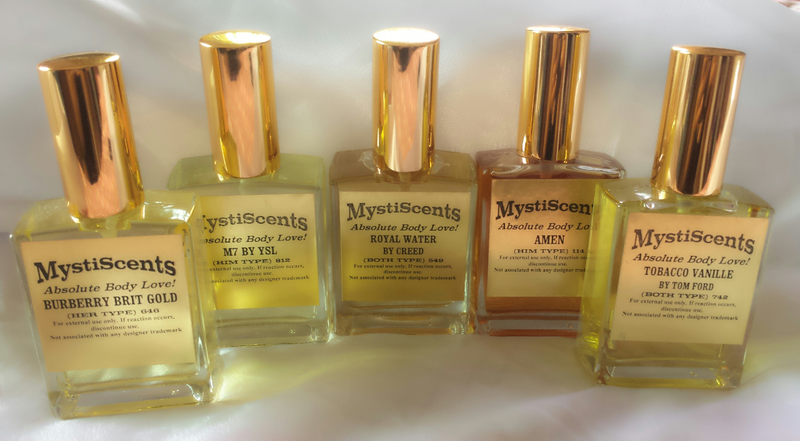 This fragrance oil spray is in a class of its own; a first from MystiScents and we are glad to present it to fragrance lovers at very affordable prices! Pure perfume essence in a base of aloe and Vitamin E oils to pamper your skin as it perfumes it. This product contains no alcohol or fillers. Comes in an attractive 60ml gold coloured bottle with a fine sprayer. Show your body some love. Give yourself some luxury. You know you deserve it. Visit http://www.facebook.com/MystiScents for more information.